The Lodge, Ilmington is a holiday let based in the Cotswolds. They needed to update their existing website, which was outdated and in need of a refresh. Rather than starting the project from scratch, Manoeuvre were able to update the existing WordPress template to provide it with a face lift. 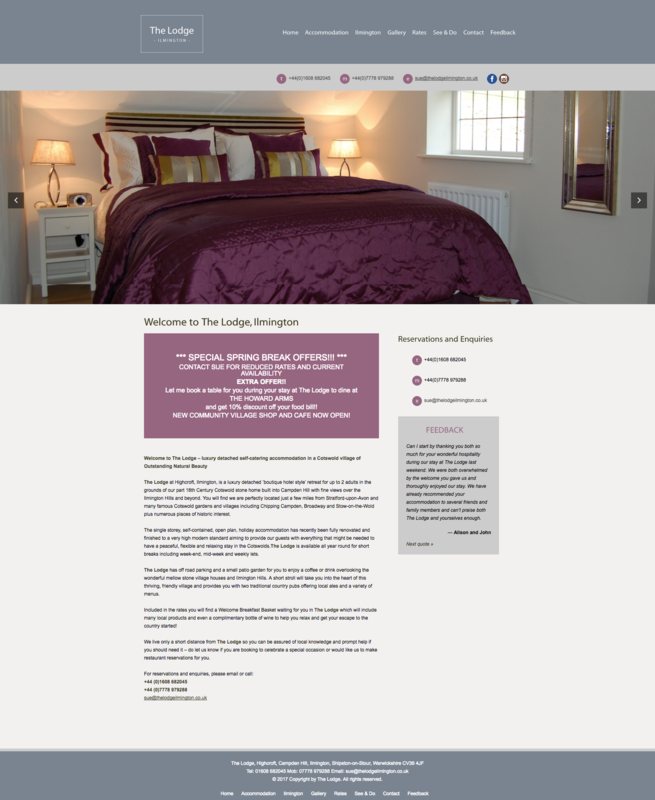 The result is a dramatically improved website design, which was also a cost effective solution for the client.